The welding Coupon Cutter for Strapbending and Testing from Sawyer is the ideal equipment for pipe cutouts and weld testing straps. 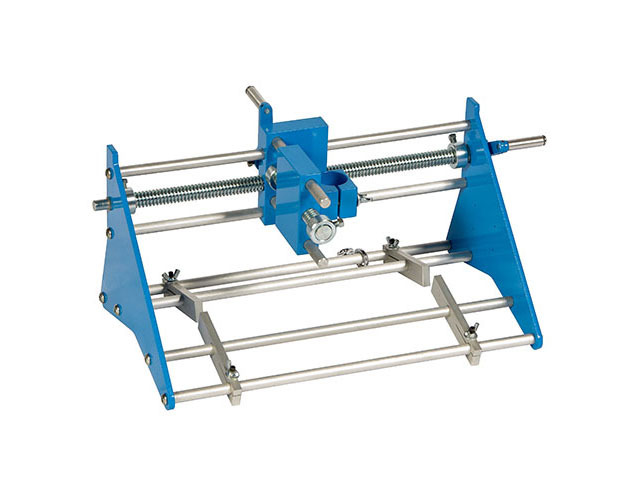 Quality built with cast aluminum and steel alloy construction, this weld sample device is made to cut straps consistently and efficiently for years of dependable destructive weld testing. Featuring a lightweight, portable design, Sawyer’s Coupon Cutter provides unsurpassed simplicity and ease of use. With just a conventional machine torch, the user of this strap cutter can cut weld test coupons up to 3” x 14”, the largest in the industry. Left or right hand operation makes the Coupon Cutter easily accessible for all. The tensile test coupons made by this strap cutter are the largest in the industry and require only one machine to produce. With a cutting speed of six turns per inch and an ability to easily center on pipe, the Coupon Cutter is the best choice for fast, accurate welding coupon devices. For best in class quality and design, Sawyer’s line of weld testing equipment is the only choice, and the welding Coupon Cutter for Strapbending and Testing is no exception. For accurate, dependable weld inspection and weld quality testing, look no further.